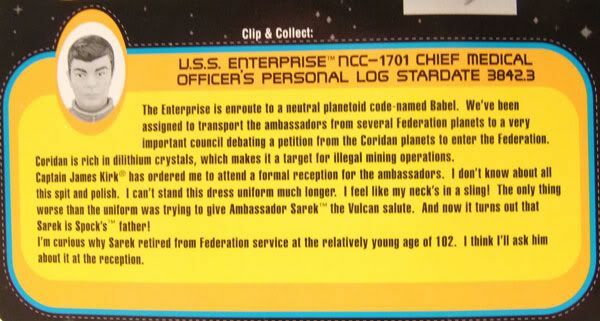 Bones was released on the Playmates Star Trek 'Unified' cardback. 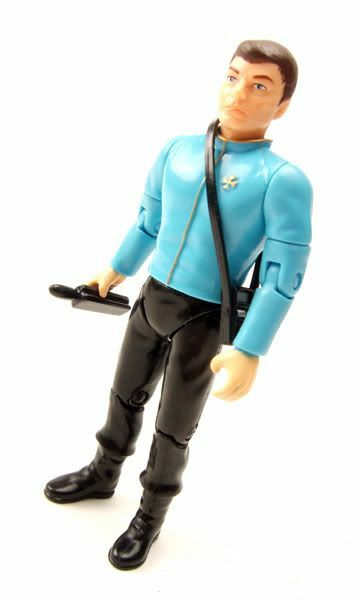 The Rundown: Playmates released McCoy in his fancy clothes here to complete the classic trinity in their dress uniforms; Kirk and Spock came in the Starfleet Officers Collector's Set, McCoy came out as a single release. 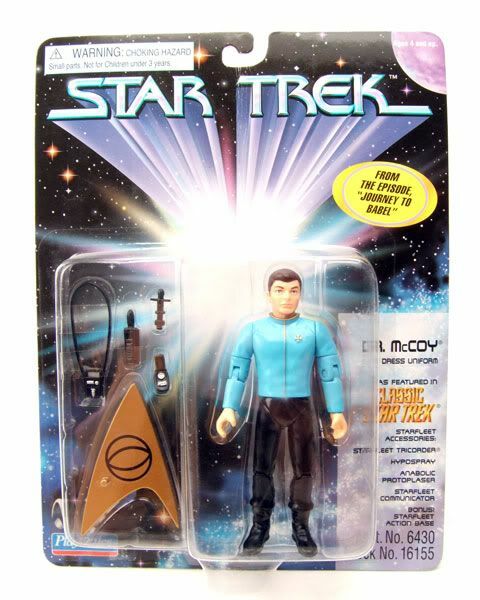 Unfortunately, McCoy was released as part of Playmates horrible '1701' promotion. There were only around 10,000 McCoy 'Dress' figures made. That seems like alot by today's standards, but back then it was a pretty limited release. I myself never saw him on shelves and it wasn't until the advent of eBay that I mamanged to pick him up. 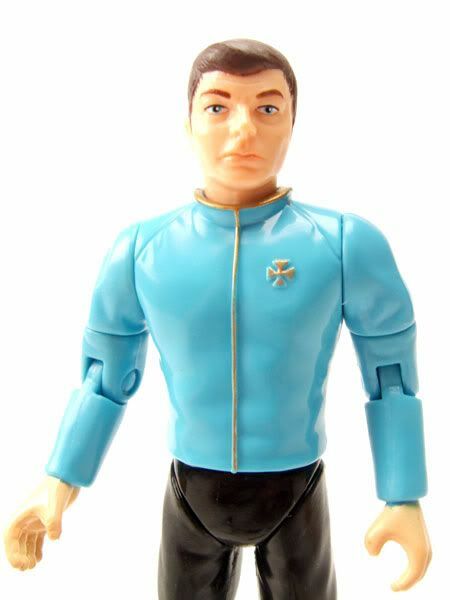 The figure utilizes the standard classic McCoy head sculpt seen in the Classic Crew Set. It's a good head sculpt. Not great, but good. You can definitely tell it's De Kelley, but it is a little on the thick side. The body is your standard Playmates issue. Well articulated and matches the show version fairly well. The medals are not just painted on, they are sculpted on the chest. 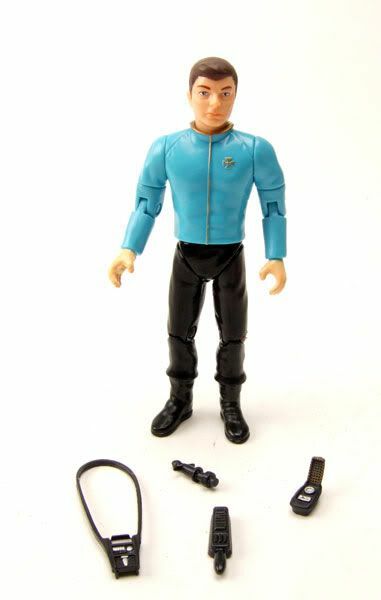 Playmates could have cheaped out on that and just used a Kirk or Spock sculpt and not painted all the medals, but they didn't. 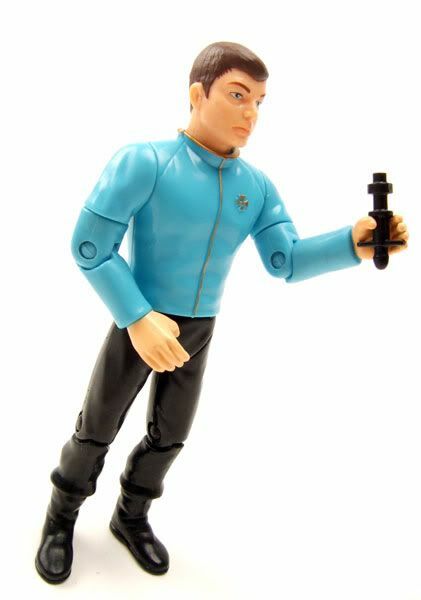 It's little things like that which are sometimes missing on the newer figures, like the new DST 'Cage' Spock. 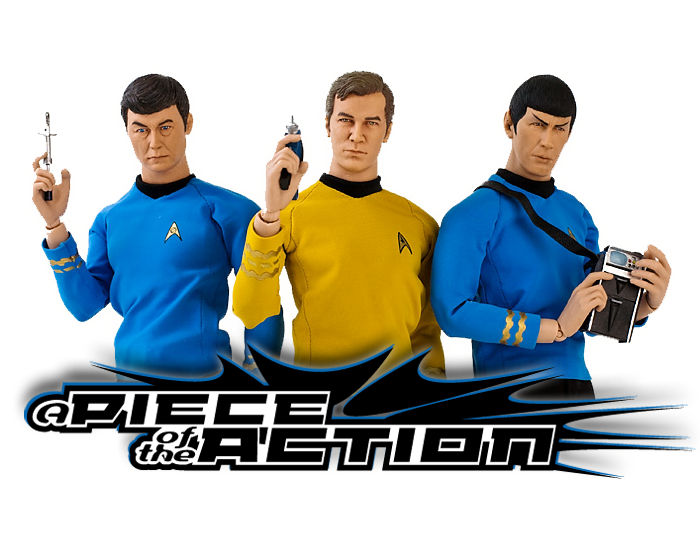 That Spock utilizes the same shirt mold as the Pike figure. DST didn't even bother to change the delta shield from Command to Sciences. That's just plain lazy, and I'm glad Playmates didn't do something similar with Bones here. Accessories: Bones comes with a display stand (not pictured), a tricorder, a hypospray, an anabolic protoplaser, and a communicator. 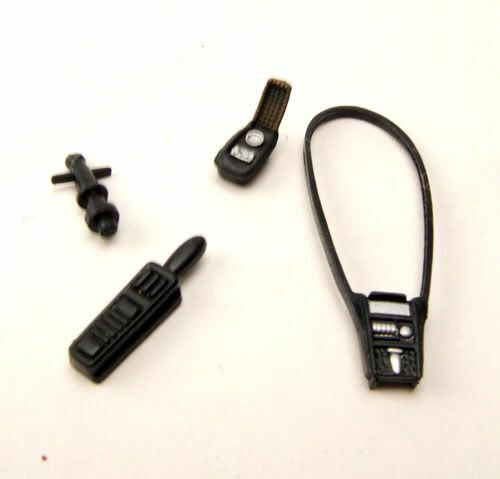 The weapons are (thankfully) molded in black, and the tricorder and communicator have painted details. The communicator mold used on this figure is much thicker than the mold used for the classic set.